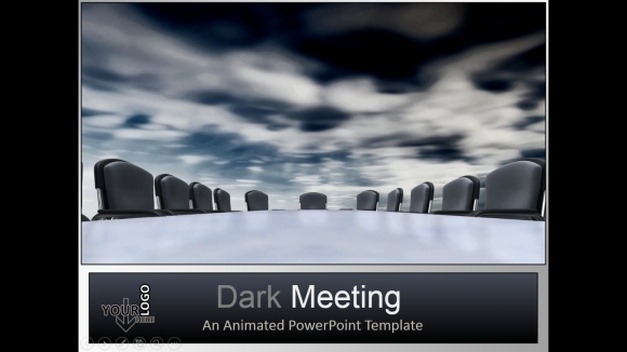 Dark Meeting is an animated business meeting template for Microsoft PowerPoint and Keynote. It comes with the animation of a meeting room amidst dark, stormy clouds. 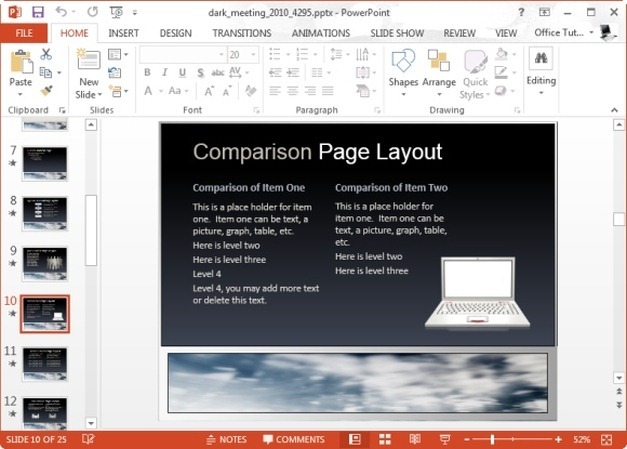 This template can be helpful in making presentations about business or product failure, important business aspects, market competition and the like. 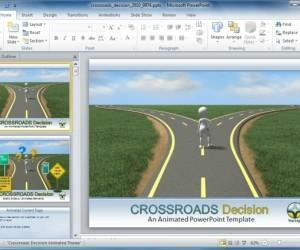 The opening slide shows a conference room animation with a storm on the horizon. 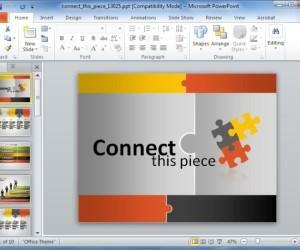 This slide like other sample slides in this template comes with placeholders for adding an image (logo) and text. 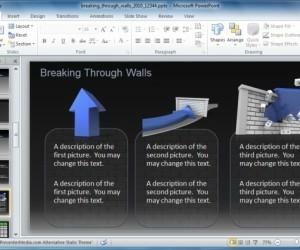 You can also add additional textboxes and images using options from the PowerPoint Ribbon menu. 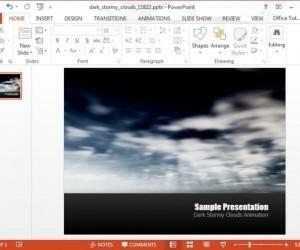 Not only does this template offer animated slides but the given sample slides are extremely customizable as you can add your own text and images to create presentation slides to suit your topic, along with perhaps your company’s logo and relevant images. 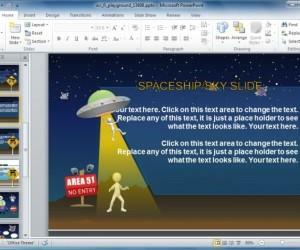 The animations in this template easily mould with any added content and play out with the added text and images. 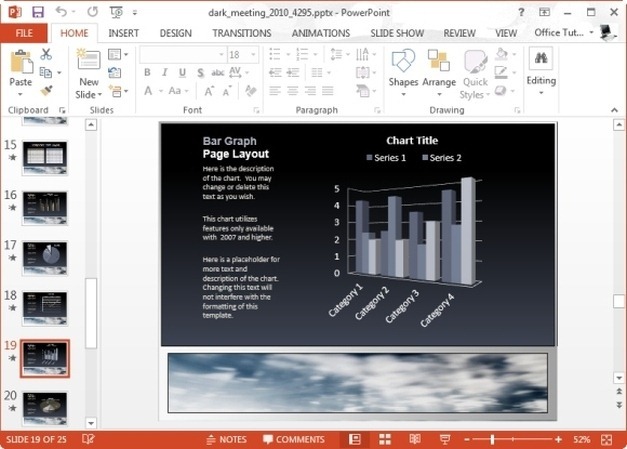 The Dark Meeting template offers a variety of slide designs including sample slides with editable charts, picture layouts and clipart. 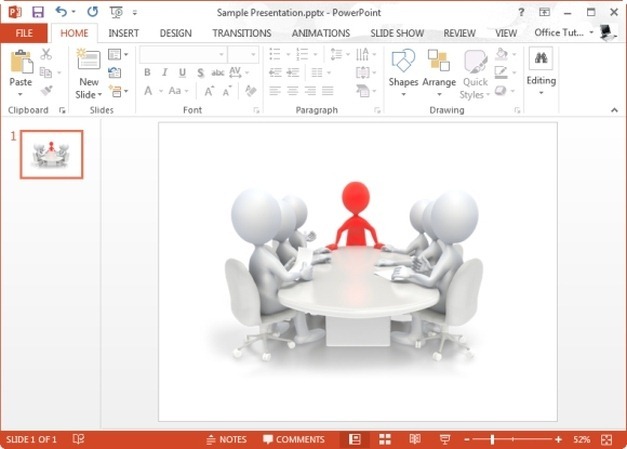 This clipart shows a group of people around a table with one stick figure colored in red. 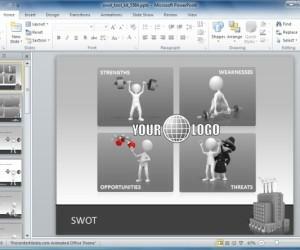 This clipart can be used for a variety of business topics such as for presentations about business plans, leadership, partnership, employee motivation, etc. This static clipart can be downloaded in PNG or JPG format, in different resolutions. 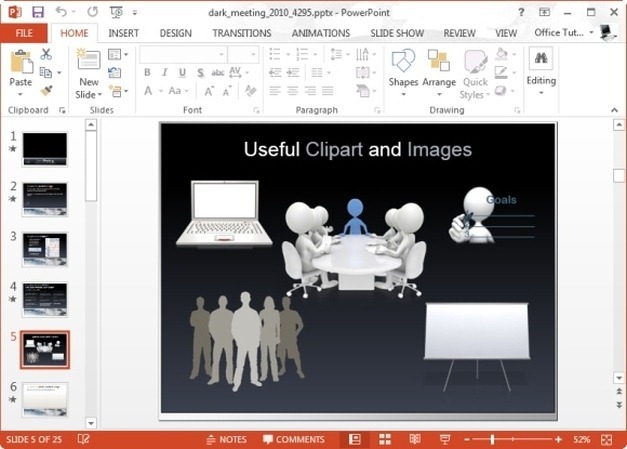 You can also use the customization options at the Presenter Media website to change the TINT, Brightness, Reflection, Saturation and Shadow of this clipart before downloading it.